Lockheed Martin has announced that its Pilotage Distributed Aperture Sensor (PDAS) system has taken flight for the first time aboard the V-280 Valor helicopter. PDAS is a multi-functional sensor system that helps enhance situational awareness for pilots and other users by generating high-resolution, 360-degree imagery around the aircraft. Lockheed Martin confirmed the PDAS system captured "complete spherical infrared imagery while operating in a high-speed, tactically relevant flight environment and generated real-time imagery". "Conducting PDAS flight tests on the V-280 is an exciting first step toward delivering a level of situational awareness unavailable on today's Army rotorcraft," said Rita Flaherty, strategy and business development vice president at Lockheed Martin Missiles and Fire Control. "With its embedded, multi-functional sensors, PDAS is the ideal foundation for an integrated survivability suite that will enable Army aircrews to own any environment and universally detect and defeat incoming threats." The PDAS is made up of six infrared sensors that are distributed around the aircraft and linked to aircrew helmets and cockpit displays via an open-architecture processor. It is designed "specifically" for current and future vertical lift aircraft. This series of testing demonstrated the PDAS's ability to provide simultaneous coverage to multiple independent displays, with aircrews benefiting from the all-weather pilotage imagery while transported ground troops can survey the environment and identify tactical information and threats. The PDAS is currently generating imagery for two users, but will eventually support up to six users, which "could include pilots in other aircraft and mission commanders on the ground". Lockheed Martin also noted that future upgrades will "demonstrate additional integrated survivability suite capabilities like multi-modal sensor fusion (MMSF)". 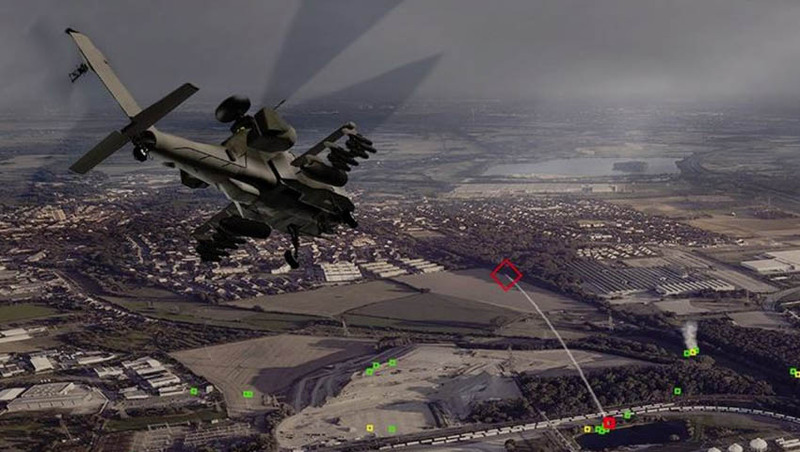 MMSF draws data from multiple types of sensors to "restore aircrew situational awareness in degraded visual environments and enables navigation in GPS-denied zones".